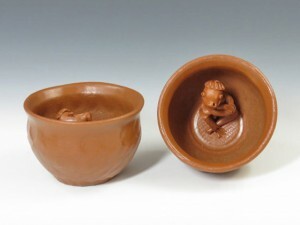 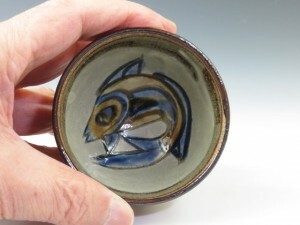 A pair of his-and-hers sake cups with Japanese imaginary creature “Kappa” inside the bottom ! 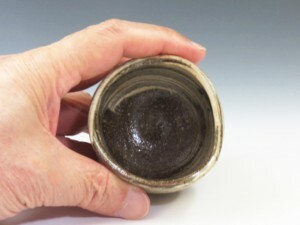 A beautiful sake cup with neat brush mark decoration ! 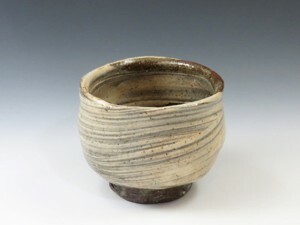 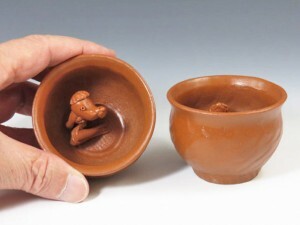 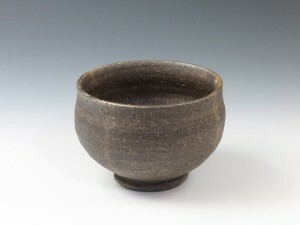 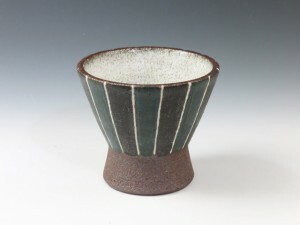 An unglazed pottery sake cup with a warm air ! 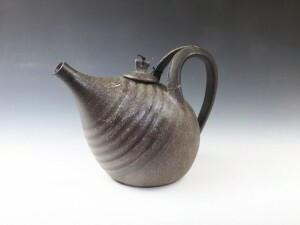 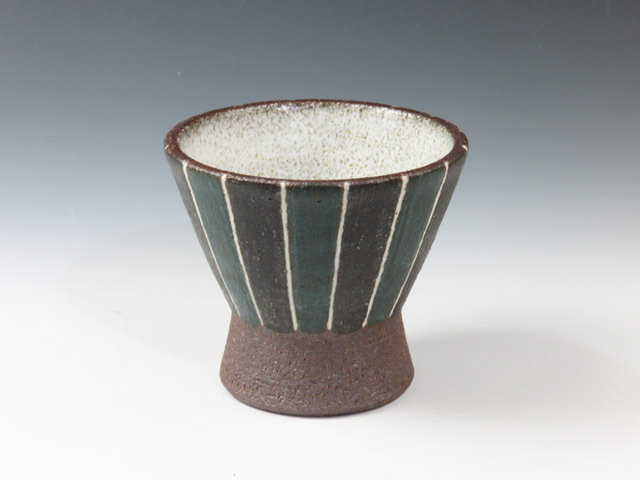 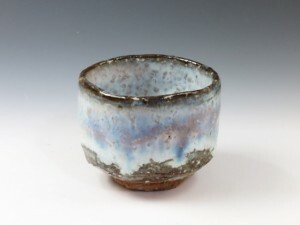 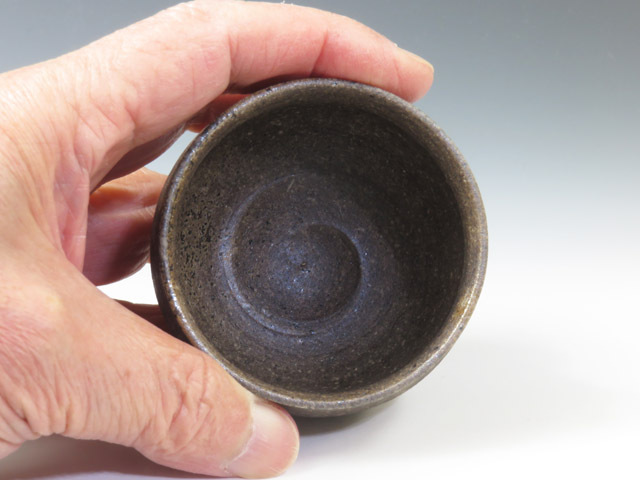 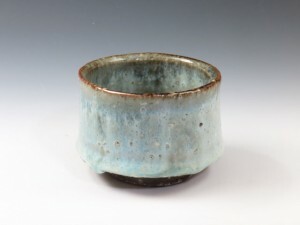 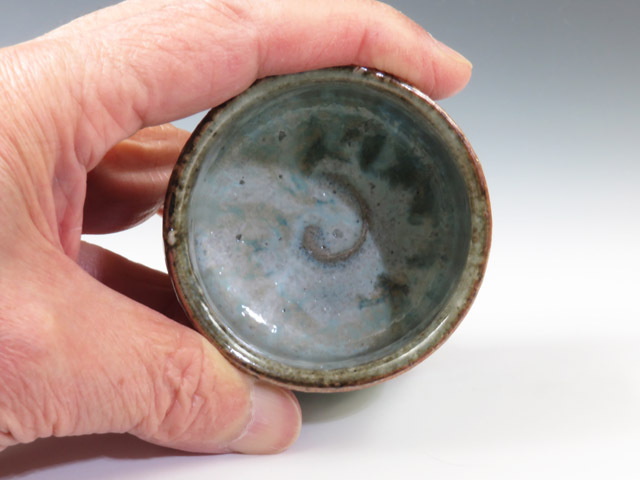 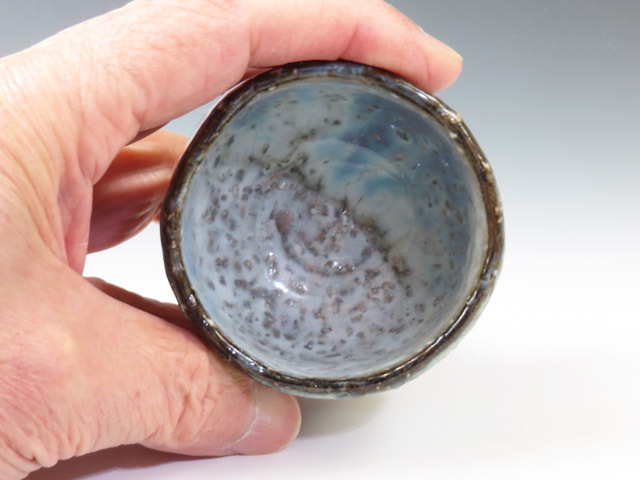 A beautiful bluish sake cup ash-glazed with so-called Ajisai (or hydranqea)-yu (or glaze) ! 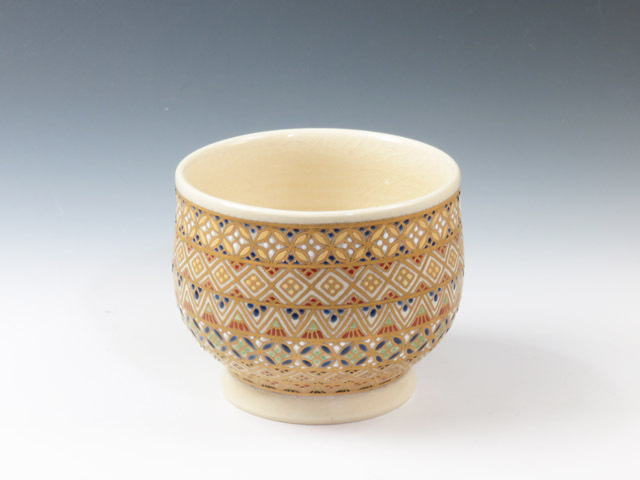 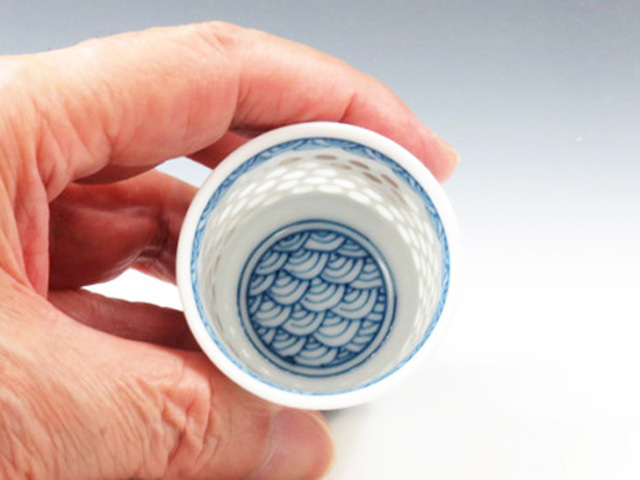 A contemporary pottery sake cup of traditional Oborisoma-Yaki with inlaid decoration ! 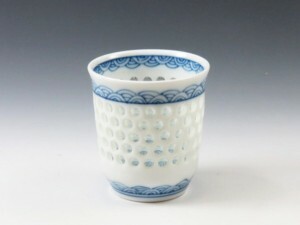 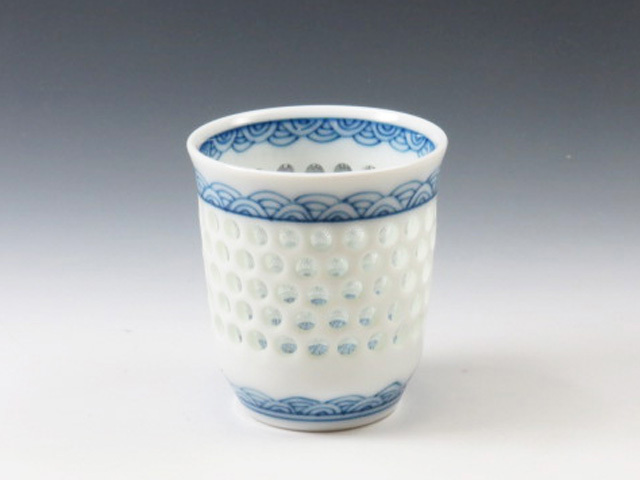 A porcelain sake cup with glassy dot pattern in Suisho Bori (or crystal dots) techniqueand and with fine sea wave pattern in indigo blue ! ! 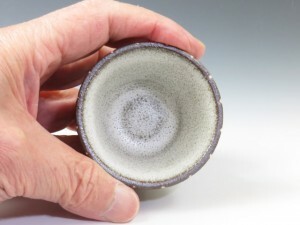 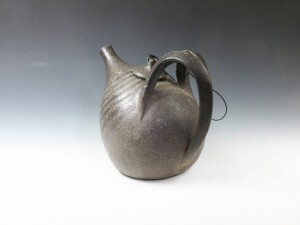 A unglazed pottery sake server with quite unique configuration ! 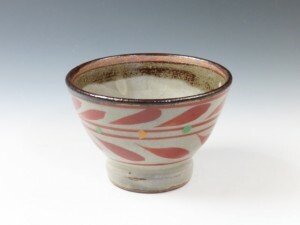 A typical Okinawa sake cup with a tropical fish design inside and traditional arabesque pattern in red outside ! 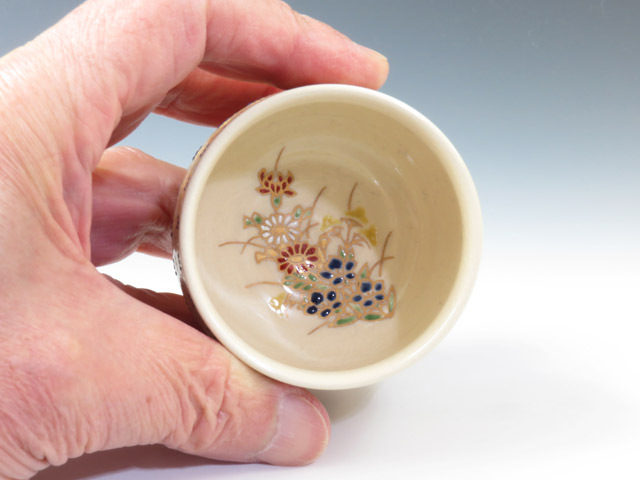 An incredibly fine sake cup with beautiful cloisonne patterns outside and chrysanthemum design on the inside bottom !